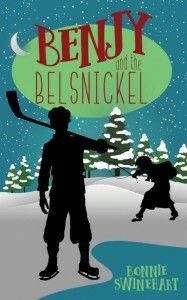 Heartwarming and charming, “Benjy and the Belsnickel” is an all-around fun read for children whose reading skills are advanced enough for chapter books, and the hand-drawn illustrations add to the appeal. With Christian underpinnings, this book reminds me of the Little House on the Prairie series as well as the lesser-well-known “Younguns of Mansfield” by Thomas L. Tedrow. Benjy is an eleven-year-old boy growing up in the Pennsylvania Dutch town of Landisburg in the 1930s, and this quaint setting includes a one-room schoolhouse and rural farms where adventure is never far away. Unfortunately for Benjy, neither is trouble. Poor Benjy doesn’t mean to be so naughty, but he can’t seem to help himself, and as a result he fears a visit from the Belsnickel at Christmastime. A more benign version of Krampus, the Belsnickel is associated with southwestern Germany and also the Pennsylvania Dutch. Benjy’s encounter with this mysterious creature might be slightly scary for younger kids, but the overwhelming majority of this delightful book is amusing and pleasant. Reading about a time when kids played mostly outside and used their imaginations to have fun is such a relief from today’s technological age and will hopefully inspire young readers to engage in some of these “old-fashioned” activities! I received a complimentary copy of this book from the publisher. A positive review was not required.